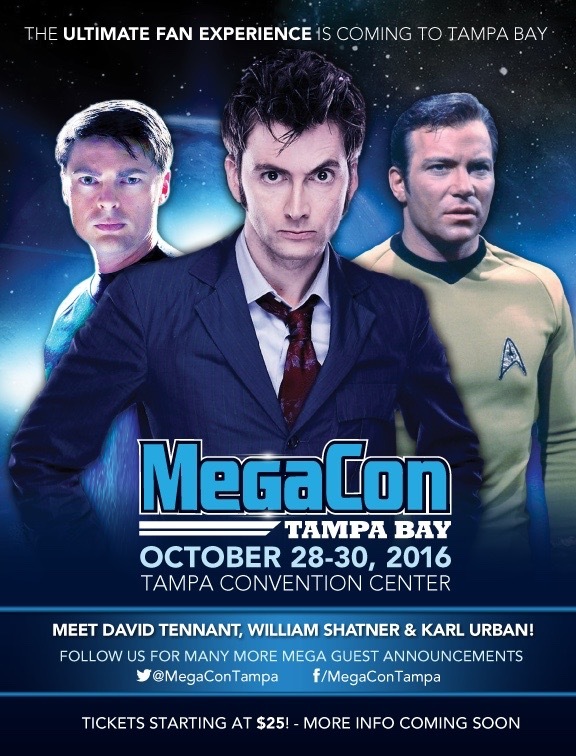 David Tennant attended Mega Con Tampa Bay fan convention on Sunday 30th October at the Tampa Convention Center in Tampa Bay, Florida. Billie Piper also attended. William Shatner and and Alex Kingston were to have appeared but cancelled. There were various photo ops and autograph sessions, plus a panel with the two actors. 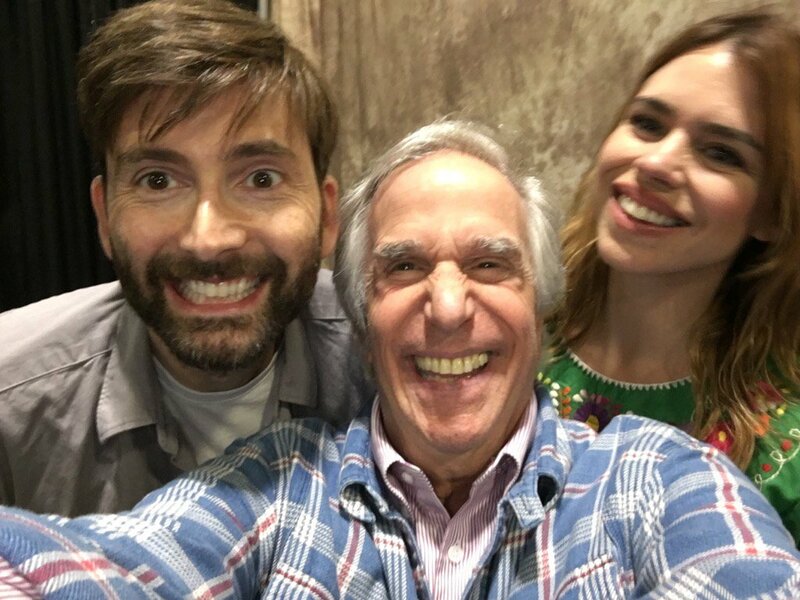 Link to posts related to David Tennant at Mega Con Tampa Bay fan convention on Blogger.com (usually with more details). The fourth batch of photos of David Tennant (solo) at Mega Con Tampa Bay fan convention. Photo Ops for David Tennant at Mega Con Tampa go on sale on Monday at 10am EST. Mega Con Tampa Bay have announced that Alex Kingston will no longer be able to attend their fan convention. Instead there will be a Doctor Who panel with David Tennant and Billie Piper. The event will take place at 5pm on Sunday 30th October at the Tampa Convention Center in Tampa Bay, Florida. They will also have autograph signing and photo ops with David Tennant and Billie Piper together.